CINCINNATI CV Series Shear Conveyors can be optionally added to new CINCINNATI HS, SE, and G Series shears as well as existing CINCINNATI hydraulic and mechanical shears. 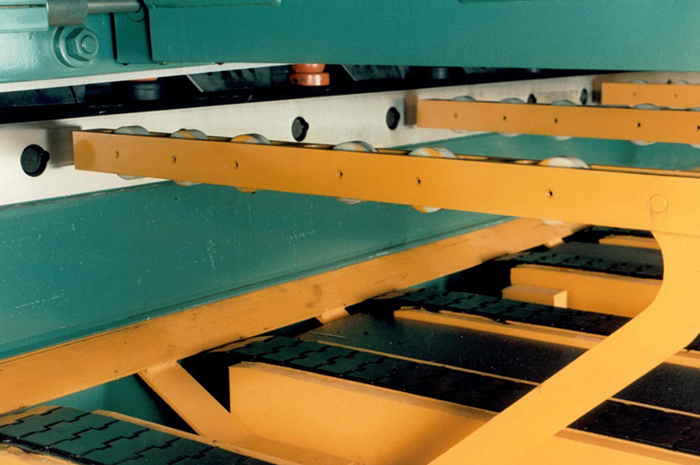 One operator performs the normal function of feeding material into your shear while stacking and scrap separation are accomplished simultaneously. CINCINNATI CV Series Shear Conveyors can be optionally added to new CINCINNATI HS, SE, and G Series shears as well as existing CINCINNATI hydraulic and mechanical shears. One operator performs the normal function of feeding material into your shear while stacking and scrap separation are accomplished simultaneously. Where secondary shearing is required the blanks can be brought to the front of the shear in a neat stack for processing into finished blanks. Because stacking is now an integral part of the shearing process, your shear is available for a greater number of hours each day to produce blanks. Material is handled only when feeding it into the shear.There is not requirement for the operator to pick up the tons of finished blanks which are produced each day. 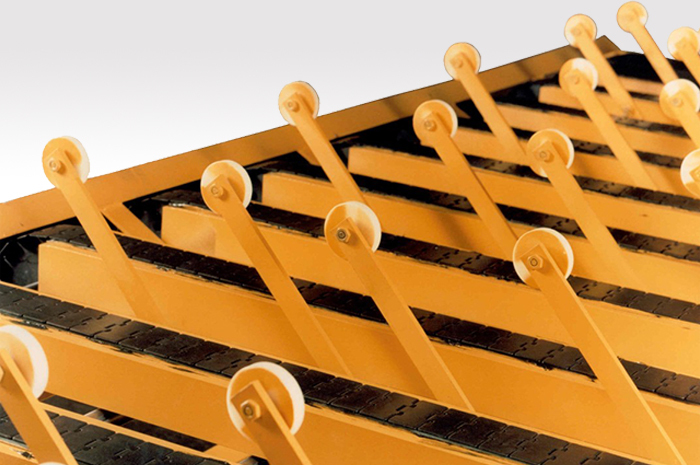 Sturdy material supports guide the material over rollers from the shear table, minimizing sheet sag and allowing the material to be firmly positioned against the backgage. 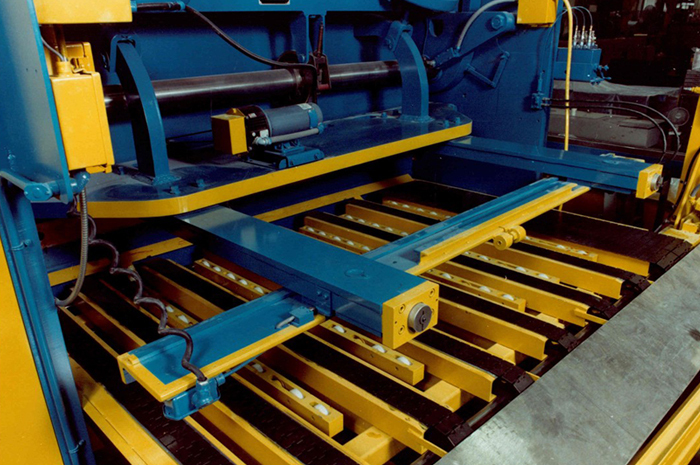 They retract quickly when the shear is cycled allowing the sheared blank to fall onto the conveyor belts. Deep back pieces, up to the limit of the backgage, contact the probes on the shear's backgage. You can gage ferrous and non-ferrous materials in a wide range of gauges with equal ease and accuracy using the material supports.